The symbolic multiple keys found by Dr. Spicasc may be considered the most powerful predictive technique in the Astrology of today. Because of the great interest in this technique among astrologers we will continue to include in the web numerous articles which have already been published in different magazines as well as those which have not been published yet, written by the author of the Multiple Keys and his disciples. We want to make it clear that this technique is much more powerful and precise in the dates than the primary directions of any kind, covering at the same time an enormous quantity of events in life, past, present and future. But be aware! : The use of these multiple keys will only be most efficient after calling for a proper rectification of the birth chart, being the multiple keys at the same time the most effective tool to work on the rectification. If the time of birth is not precise, not much will be obtained out of this powerful technique. 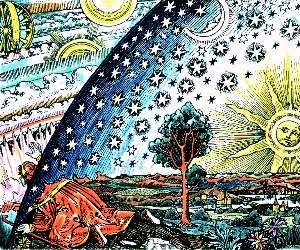 We should not forget that mastering the techniques of rectification and direction is what signals the level and seriousness of the astrologer. Those who do not know this should indeed complete their studies.